I've been going to Panera Bread since it was St. Louis Bread Company, and thankfully the name change did not affect the deliciousness. This is a chain, but it's also a good go-to spot when you want something filling, flavorful, and not too devastating to your waistline (though there are plenty of decadent offerings, too). 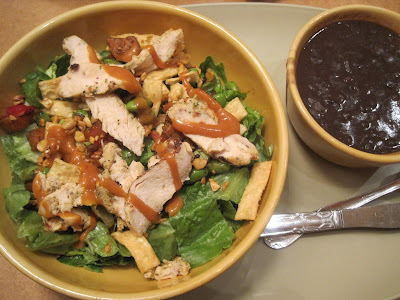 This particular meal was at a Panera Bread in Huntington. It was late, it was cold, we were hungry, and I didn't want to derail my efforts to eat healthy fare. 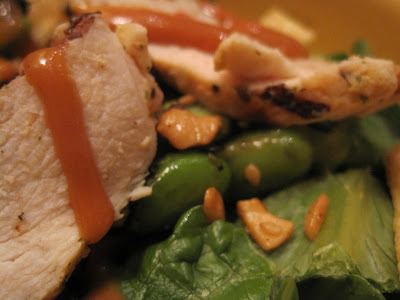 I saw their new salad features a Thai-chili dressing over chicken. Sold! This salad has edamame (soybeans), roasted carrots, and tons of flavor. The dressing is a little sweet but a little hot, and I enjoyed the balance. 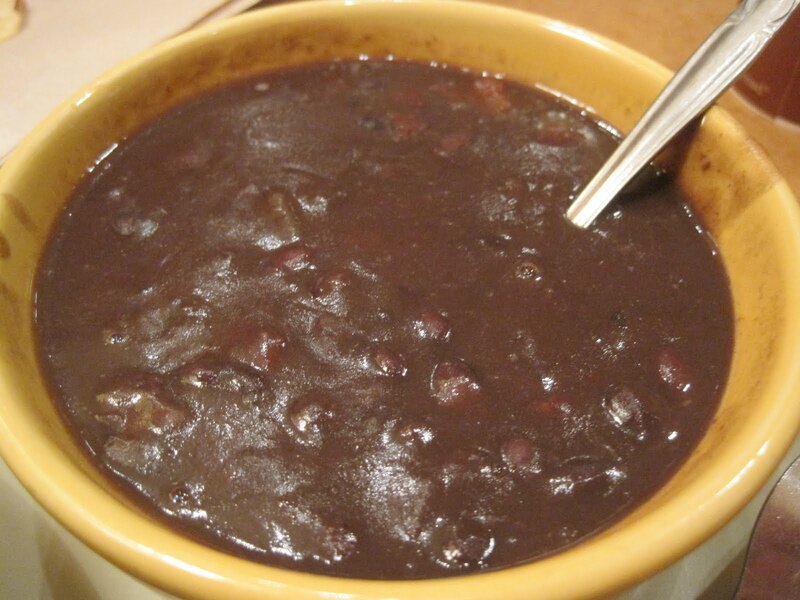 I also got a cup of their smoky, craveworthy black bean soup. I love this soup. 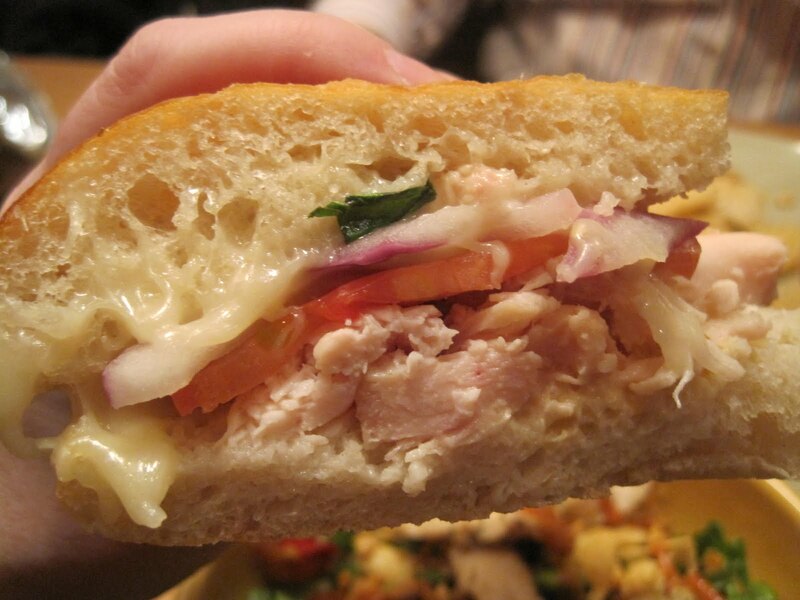 ABF ordered his favorite, the Frontega Chicken sandwich (smoked & pulled white meat chicken, mozzarella, tomatoes, red onions, chopped basil & chipotle mayonnaise, grilled on focaccia) with chips. This is melty, smoky, and fannnntastic. I love this spot--the food is usually fresh, fast and filling, and now it's one of ABF's favorites, too! Win-win! 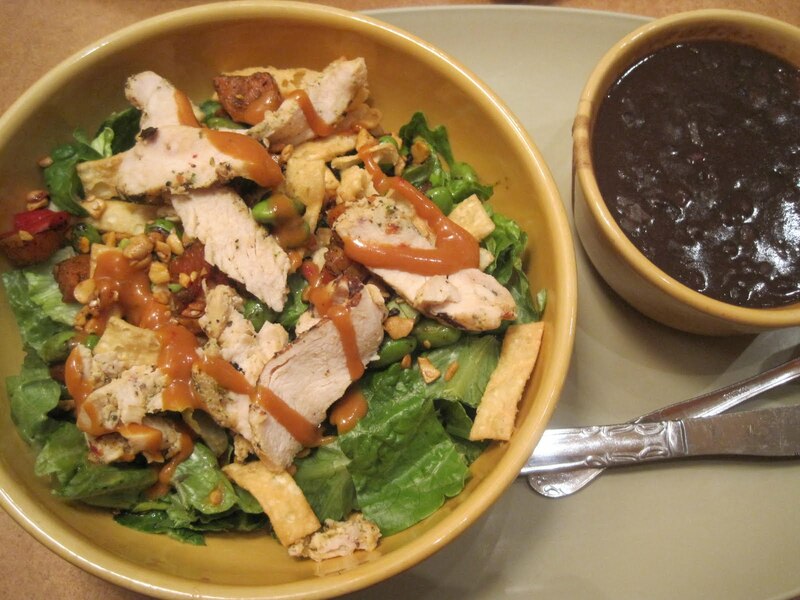 Are you a Panera fan? What's your must-have there? Go here for their webpage to find a Panera near you! I'm not a big fan but maybe it's because I make the wrong choices of what to eat. I'll have to try what you tried. It looks delicious. Good choices! I introduced Ouida Merrifield (bring back KOTV Cooking Corner memories?!) to the Thai Salad last month while in Tulsa. She's hooked.